Dear friends, we are very happy to tell you that our 2 pairs of hunting falcons already have 10 eggs. 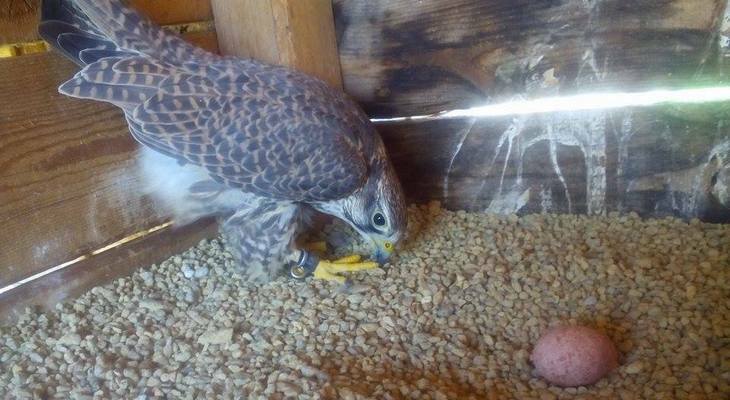 We hope to hatch 10 baby falcons, who with your support to come back home. We remind you that on 01.04. and on 02.04.17 we will be at the Zoo -Sofia where we will tell you about the lord of the Bulgarian sky – the hawk falcon, and about his way to return to nature. You will also be able to support the cause of buying a product from our stand.All funds will be used for the re-introduction of the Saker Falcon in Bulgaria.We are expecting you!